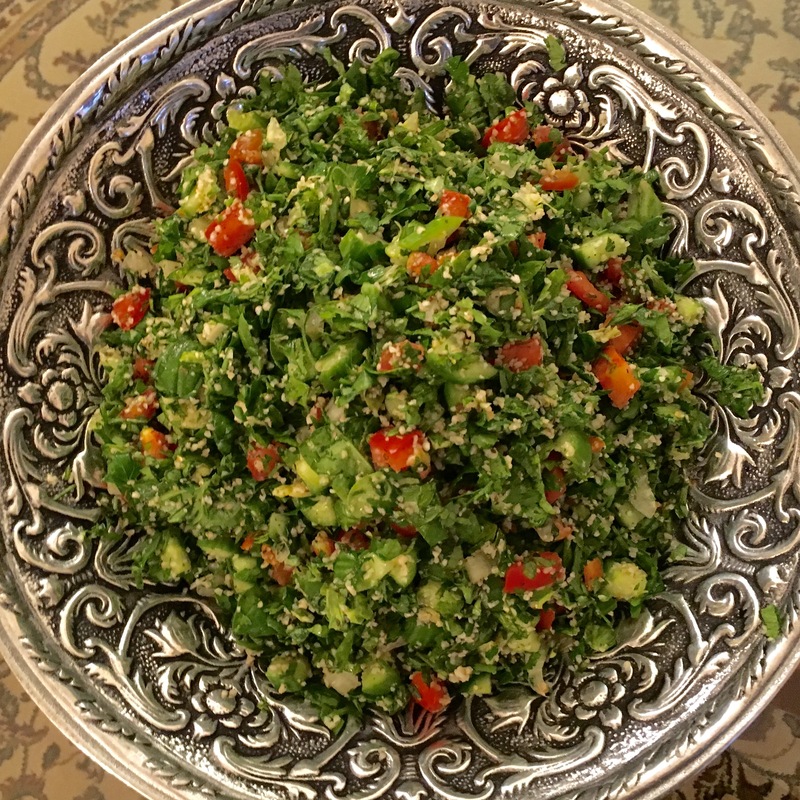 Tabouleh is a middle-eastern vegetarian ‘mezze’ or appetizer traditionally comprised of parsley, bulgur, fresh mint, onions and dressed simply with lemon juice & olive oil. This dish is vegetarian—vegan even—and has become a popular ‘ethnic food’ of the west. It’s zesty, tangy, vibrant, and green. This Fit Foodie version incorporates spinach for a nice boost of Vitamin K to keep you feeling like Popeye all week. Rinse bulgur well in water. Soak in lemon juice while preparing other ingredients. 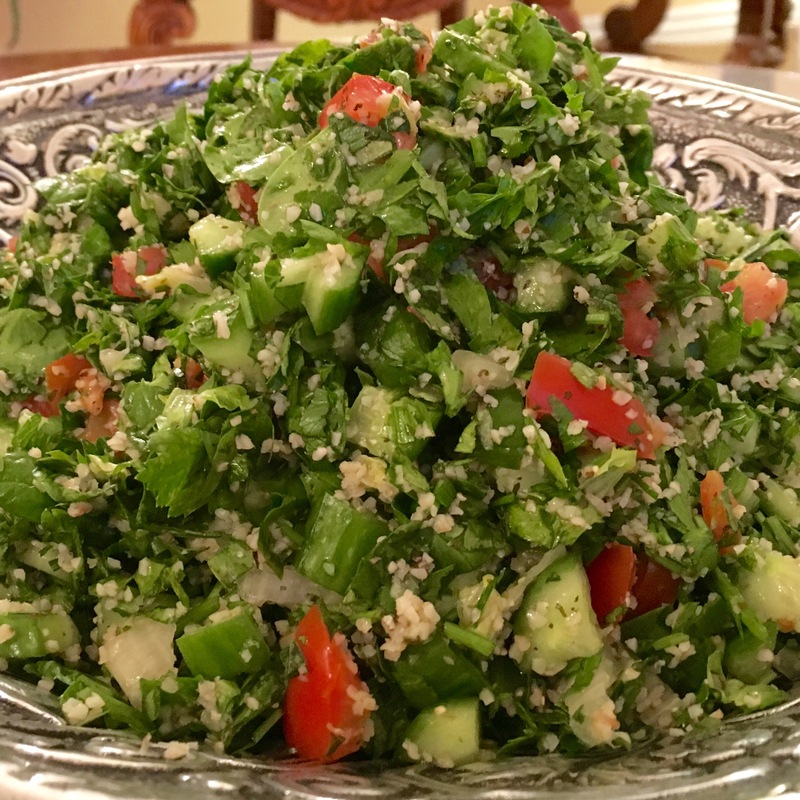 Combine parsley, spinach, green onions, fresh mint and tomatoes. Mix gently but thoroughly to combine. Add soaked bulgur along with lemon juice, olive oil, salt, and cayenne pepper.